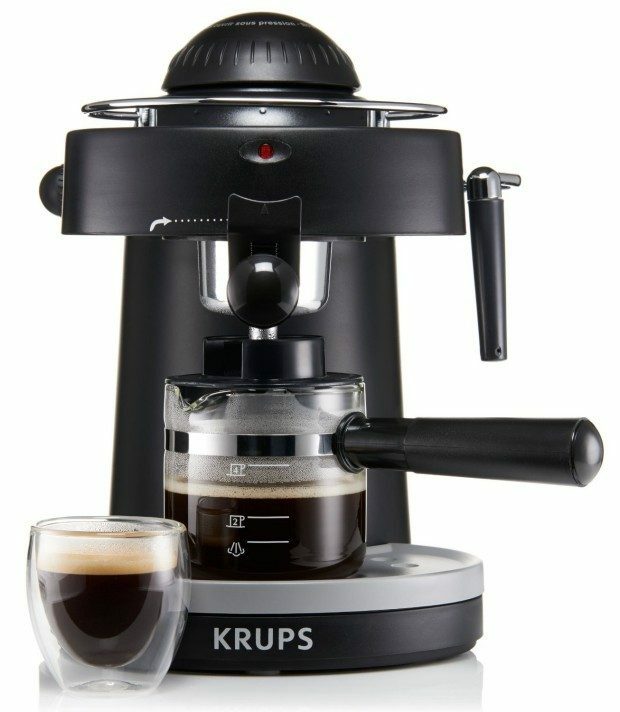 KRUPS Steam Espresso Machine With Frothing Nozzle For Cappuccino Only $29.99! You are here: Home / Great Deals / Amazon Deals / KRUPS Steam Espresso Machine With Frothing Nozzle For Cappuccino Only $29.99! Down from $99.99, this is a steal! The KRUPS Steam Espresso Machine With Frothing Nozzle For Cappuccino is Only $29.99 for prime members plus FREE shipping on orders over $35! The Krups Steam Espresso Machine is easy to operate and a very compact 4-bar steam espresso machine to take less counter space! It has a removable drip tray for easy cleaning and a steam safety valve.